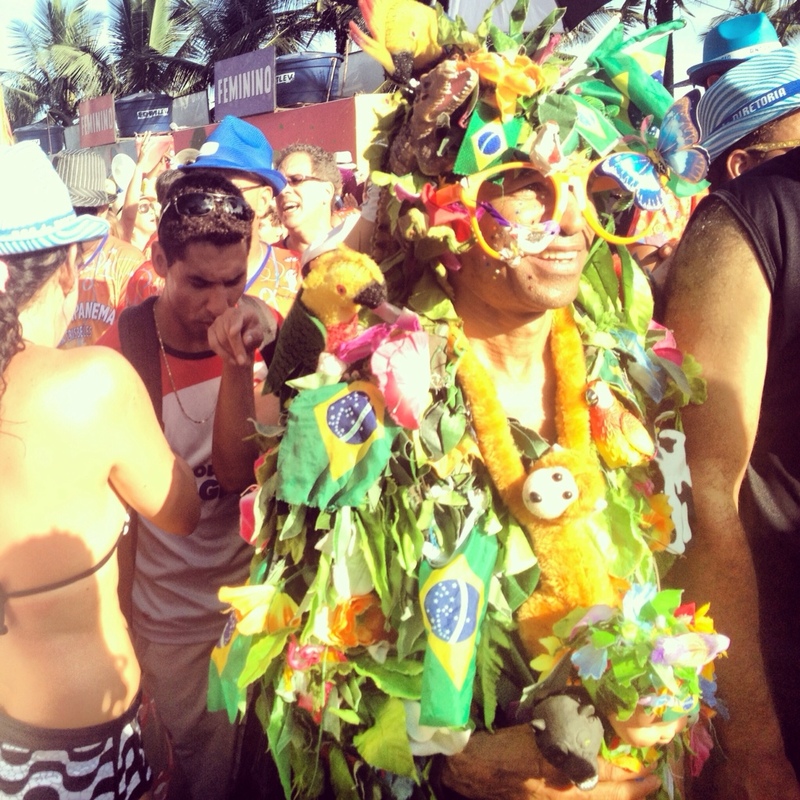 Every year at this time, the best place to party indeed has to be Rio. It’s not just confined to one building, oh no. 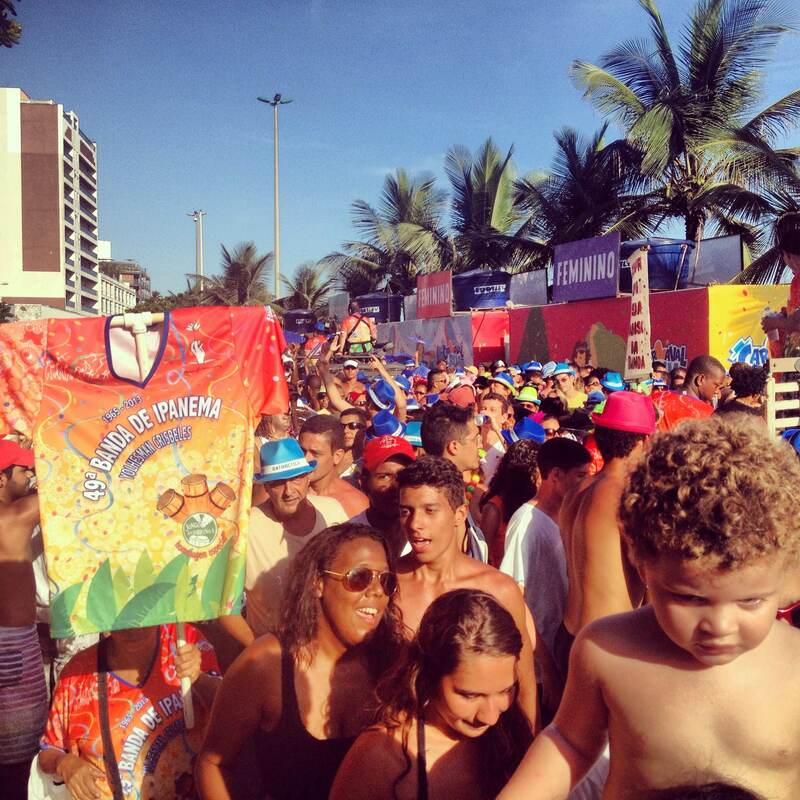 But the WHOLE City, taking place over 5 days. Phew, that’s a lot of partying! 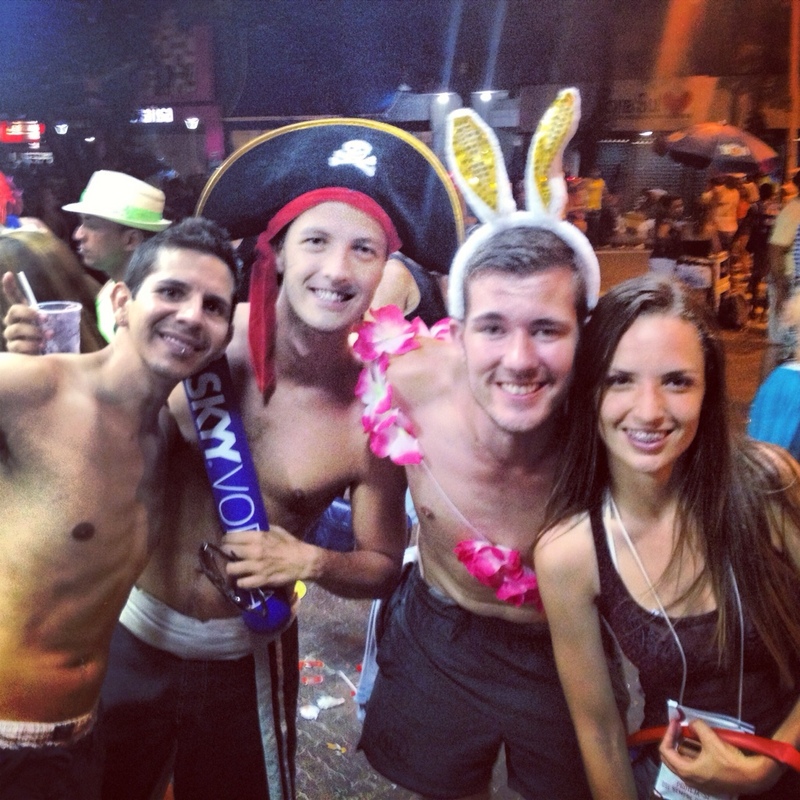 But we needed to have a big blowout tonight because much to our disappointment (and relief), It was the last night of Carnaval. Aw. 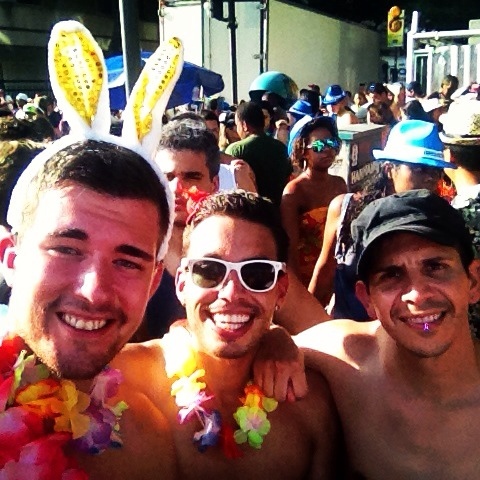 We hadn’t gone crazy at Carnaval. 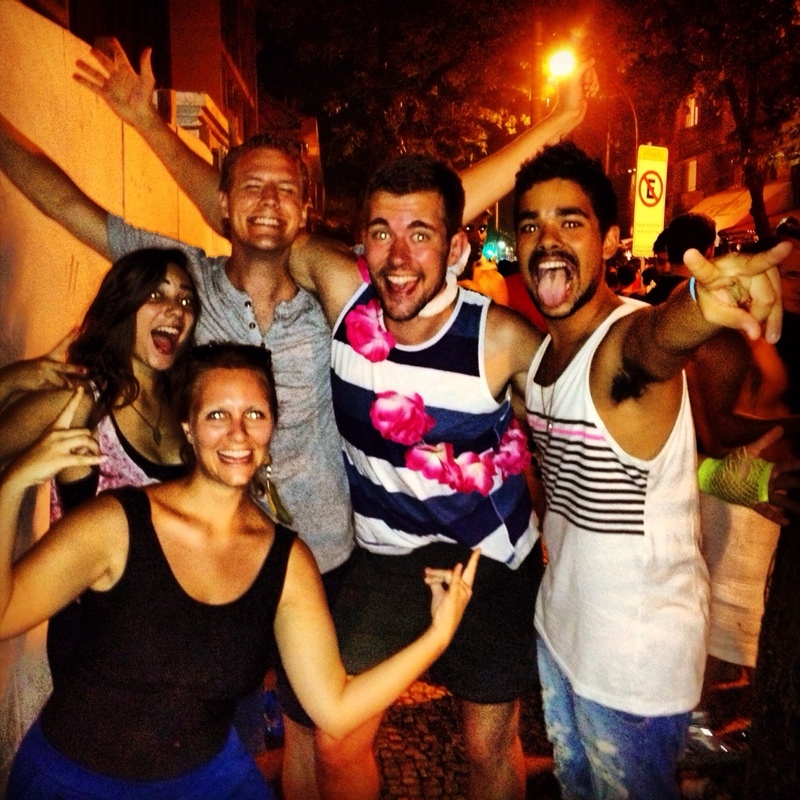 We went to watch parades, took part in the street parties and had just a little bit of Caipirinhas….well a lot then. 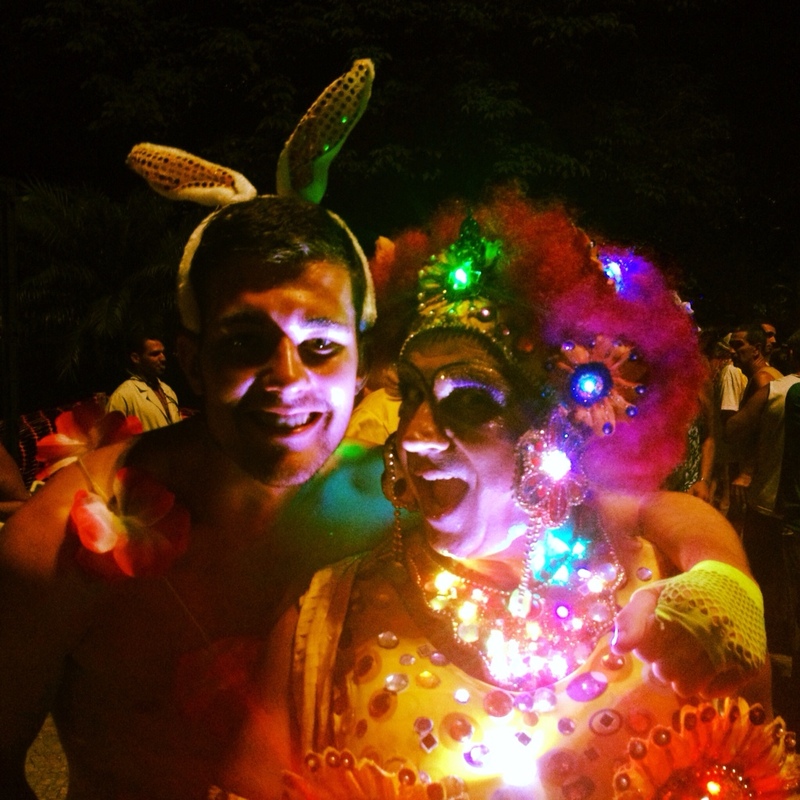 But we hadn’t dressed up in costumes and we hadn’t been hugging people and making out with beautiful Brazilians. But that was all about to change. 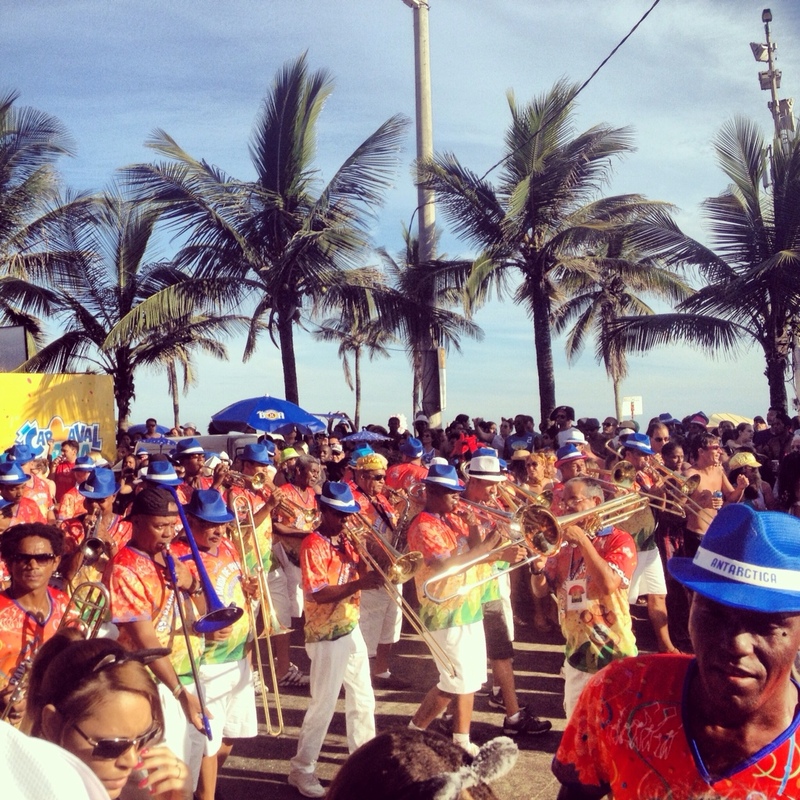 Going back to Ipanema Beach, we love that place, we were ready to take part in the last Banda de Ipanema Parade of the season. It was going to be the biggest! 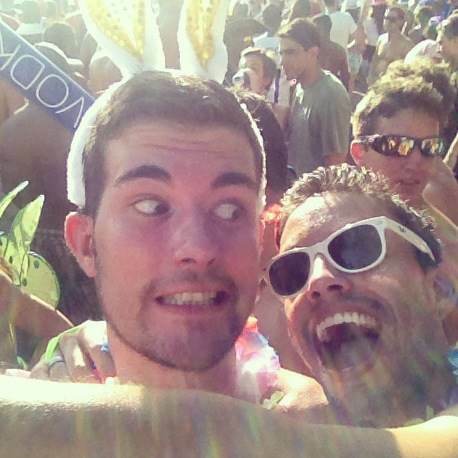 Donning our outfits, and lots of Leis, I went with the simply bunny look. 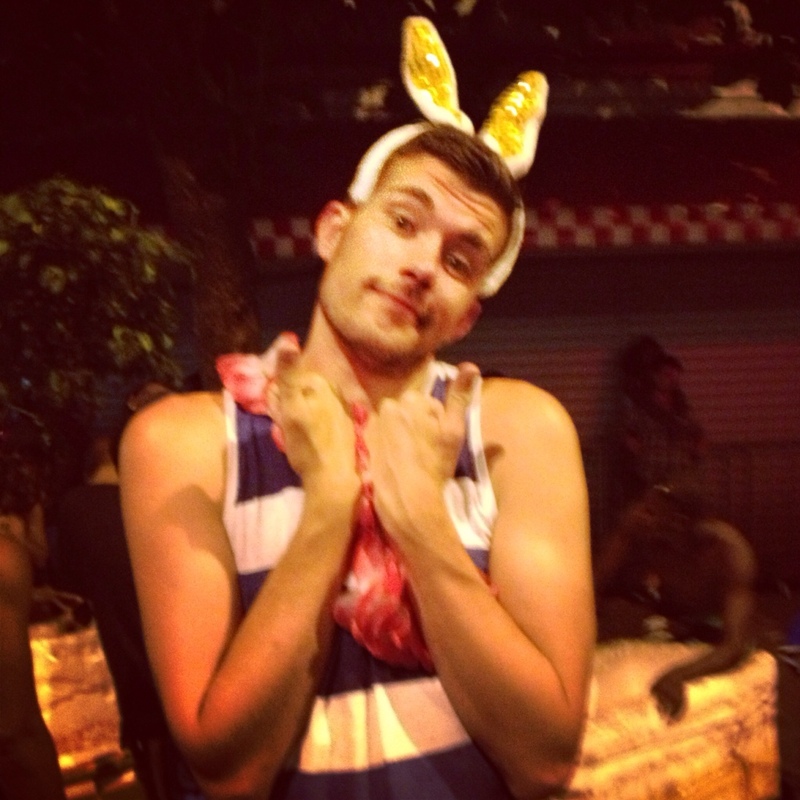 Bunny ears. I rather wore that than what Auston and Dave was wearing – ridiculously small hats. Makes a change from being demure with Cristo Redenter earlier on today. 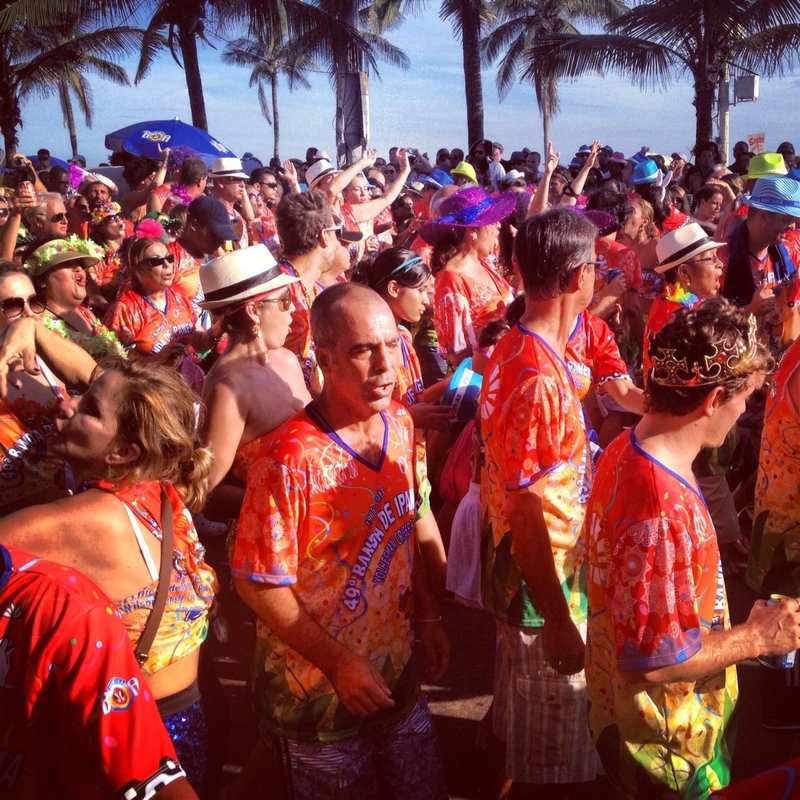 Lining up, we took part in the parade and partied round Ipanema all night. I can’t really go into blow by blow account as it would take a lot of remembering but the pictures and videos don’t lie. 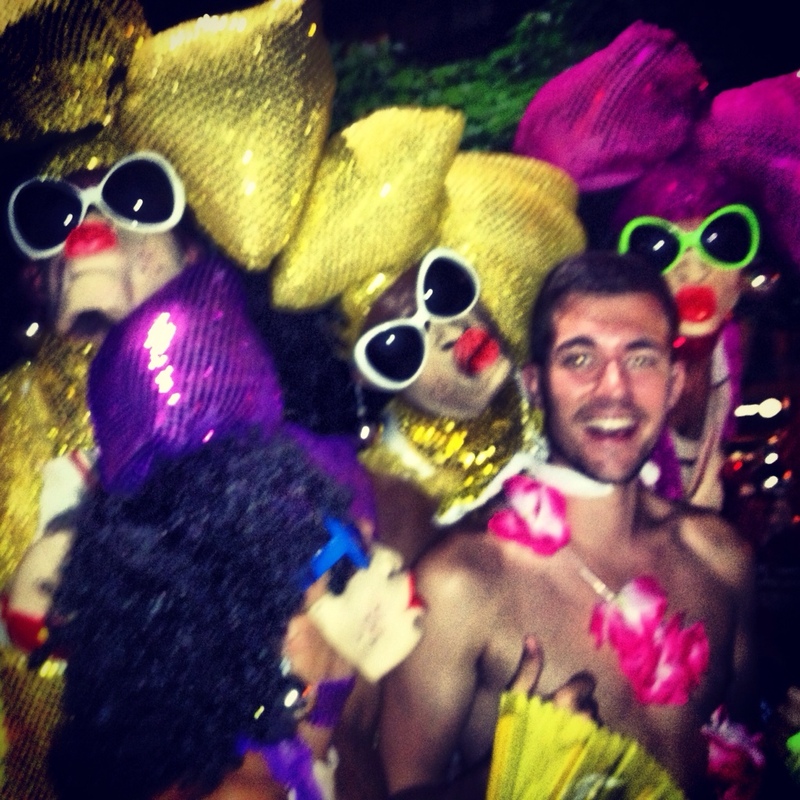 But first to describe the last night of Carnaval? 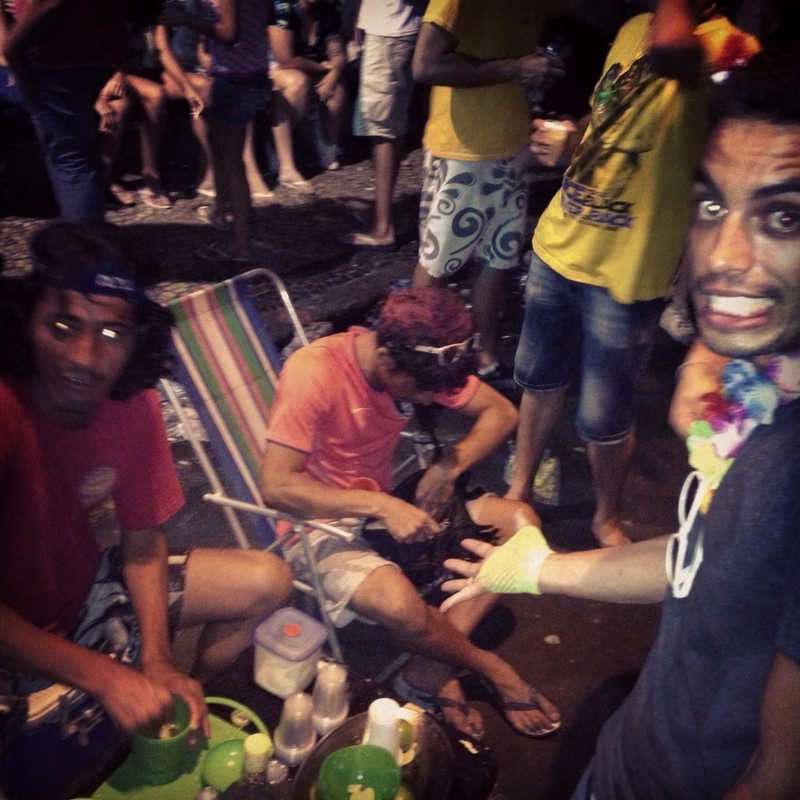 Multicultural, friendship forming, crazy, wild, dancing and best of all, Caipirinha laden! Here’s to meeting new people! 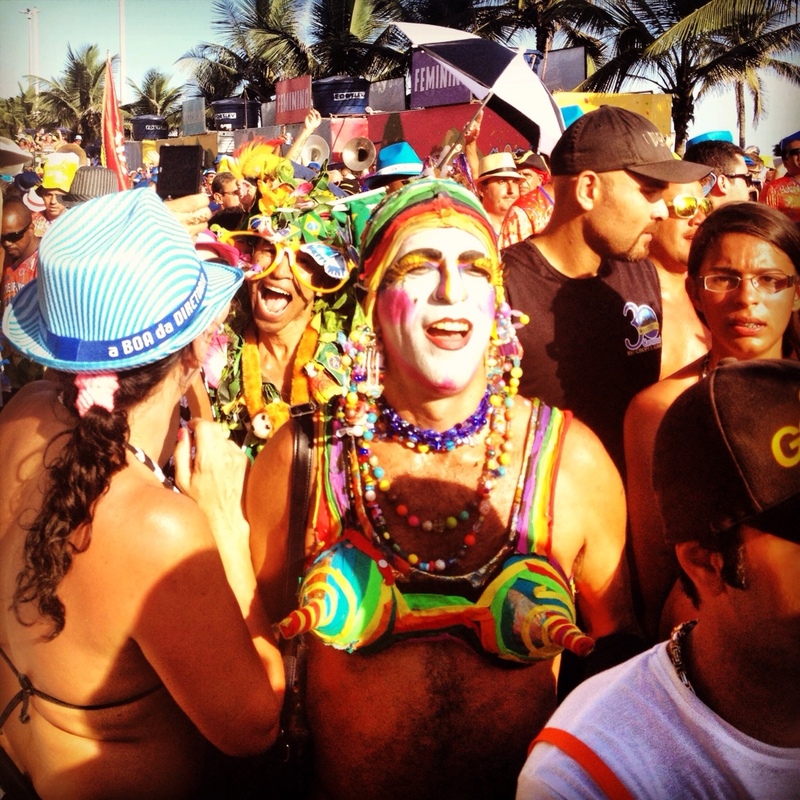 what’s Carnaval without the Music? Two Bad Tourists and RexyEdventures! The red-shirts are coming argh! Oh dear Dave’s lost it!